Having spent a couple of days in Colombo, I was ready for our drive to Galle ( pronounced as Gawl) which is a three-hour drive and a beautiful one too. As we drove into the city I was pleased to discover this ex Dutch Colony, is by the beach coast with some spectacular views. It is no no surprise that our hotel too overlooks the Arabian Ocean and would promise us numerous Kodak moments. 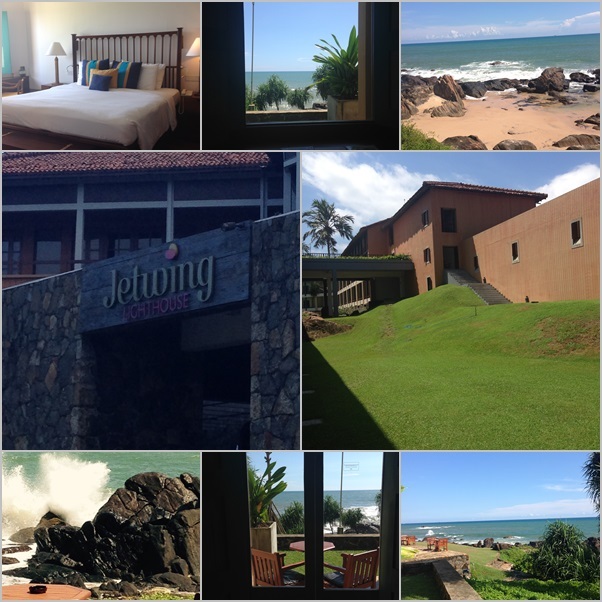 We arrive at the Jetwing Lighthouse property and hurriedly settle into our rooms as we have realized there’s going to be lots to discover amidst sand and sea. I love the view from our room and now can’t decide whether to just sit by the verandah and watch the waves pound against the rocks and frolic in some idyllic or head out and discover more. 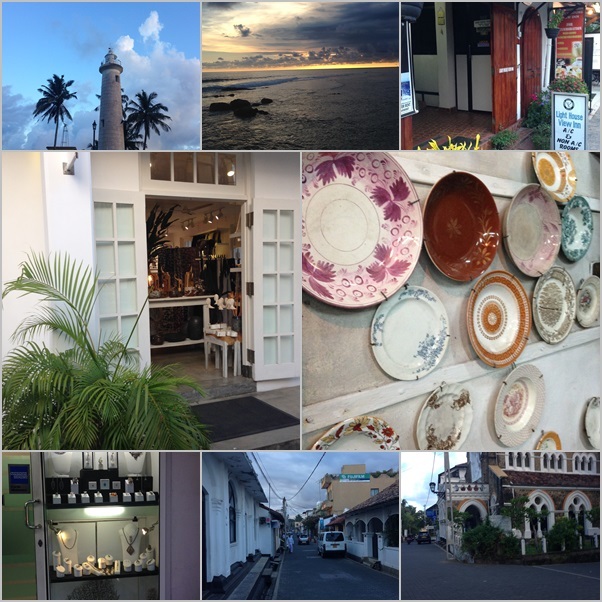 Well after having spent the first day taking in the spectacular view of the ocean from our room,we now are ready to explore the sights and sounds of this quaint little town.Here are some of the top things you could discover around Galle. This is a quaint area to walk and browse around. The Fort was first built by the Portuguese and is quite evident by the architecture that is visible around this area. The fort has now been declared as a UNESCO world heritage site as a unique exposition which illustrates the interaction of European architecture and South Asian traditions. You may choose to take a guide tour or perhaps just walk at leisure down the narrow, cobblestone lanes and see the evidence of Dutch influence which is still quite prominent. The Galle National Museum has an interesting collection. Housed in a an old Dutch building the museum represents indigenous arts and craft, masks and pretty porcelain plates. 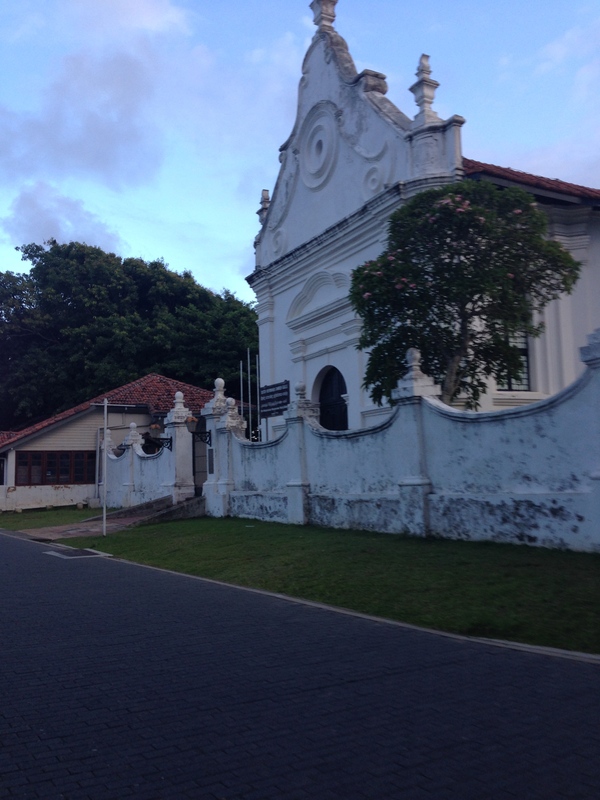 My best part around the Galle fort was a leisurely stroll around the Fort which still exuded old world charm. Within the ramparts and stone walls of the old Galle Fort – which spreads over a 36-hectare peninsula — magnificent buildings remain. And of course browsing along the narrow lanes that were dotted with jewelry shops ( Sri Lanka is famous for Jade and other precious stones). There are numerous wonderful cafes and bistros around the walk, perfect for that late afternoon sun downer, I would say. 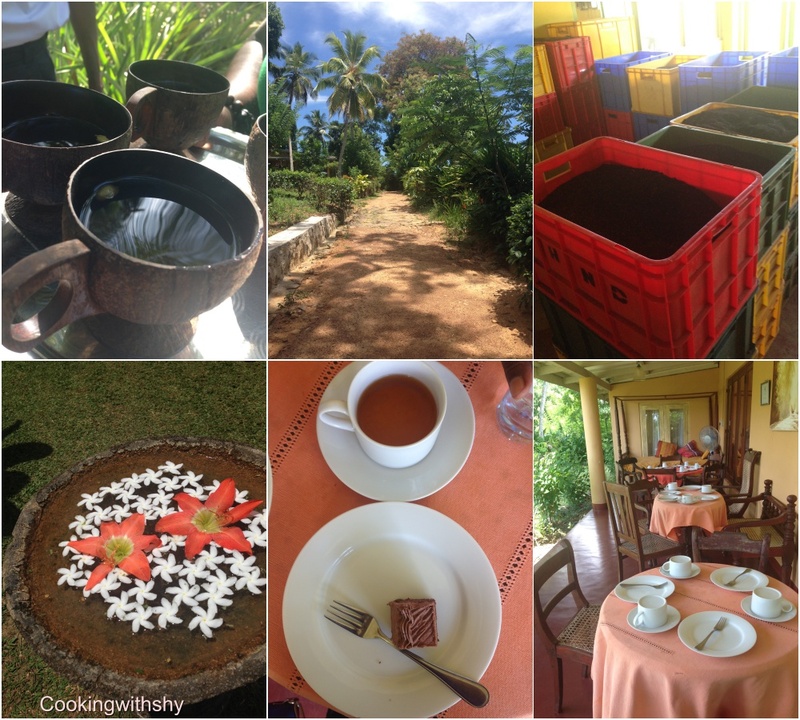 It’s been a long day and the drive into Galle and all that walking around the fort had got us hungry and tired. 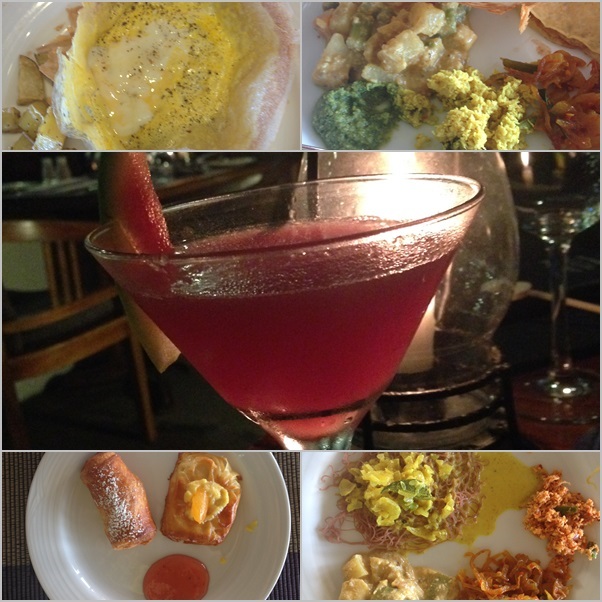 We get into our Tuktuk (autorikshaw) and head back to the hotel and decide to sample the Srilankan fare at the restaurant…But first a chilled Watermelon Martini of course. 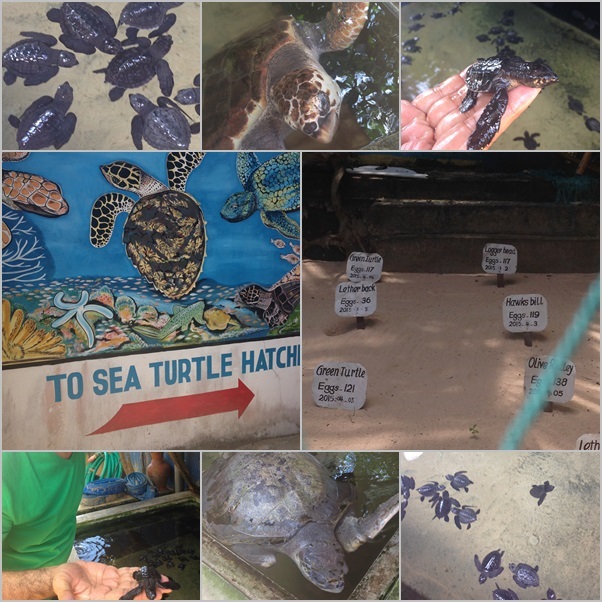 Now if you are an avid Nature enthusiast like my hubs, then yes a quick drive from the hotel to the Sea Turtle farm and Hatchery would be a good thing to do.This is a not for profit organization run by volunteers with a main aim of saving and rescuing sea turtles. They aim at breeding and hatching the turtles in their incubators til the turtles are good to be released into the ocean. They rescue many injured turtles and keep them at the hatchery until well enough to be released. 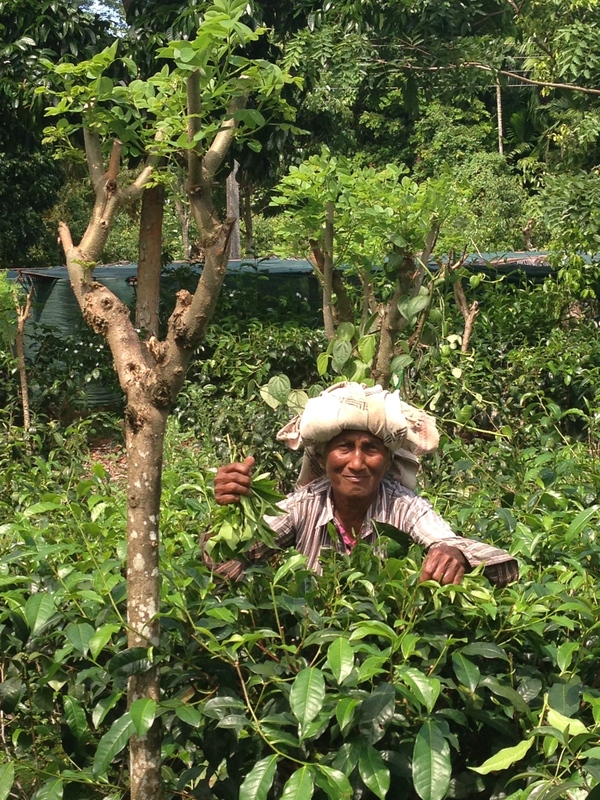 We took a day trip to a tea plantation at Handunugoda Tea estates,not too far from our hotel.It was very worth the visit as our guide took us around the estates and did a great job of explaining the tea making process really well.We also walked into the area where the machinery is installed and got a fairly good idea of the entire tea sorting and sifting process.The highlight of this tour is the extensive tea tasting. A museum of sorts with an assortment of various tea is laid out for one to sample and you could then select the tea of your choice to take back with you.The most interesting was the “White Tea” being very delicate and the cutting of these tea leaves is actually handled by the use of gloves.So if you fancy a good cuppa tea,this place is an absolute must .Or if you are a coffee drinker like me it would just as well turn out to be a very interesting tour. 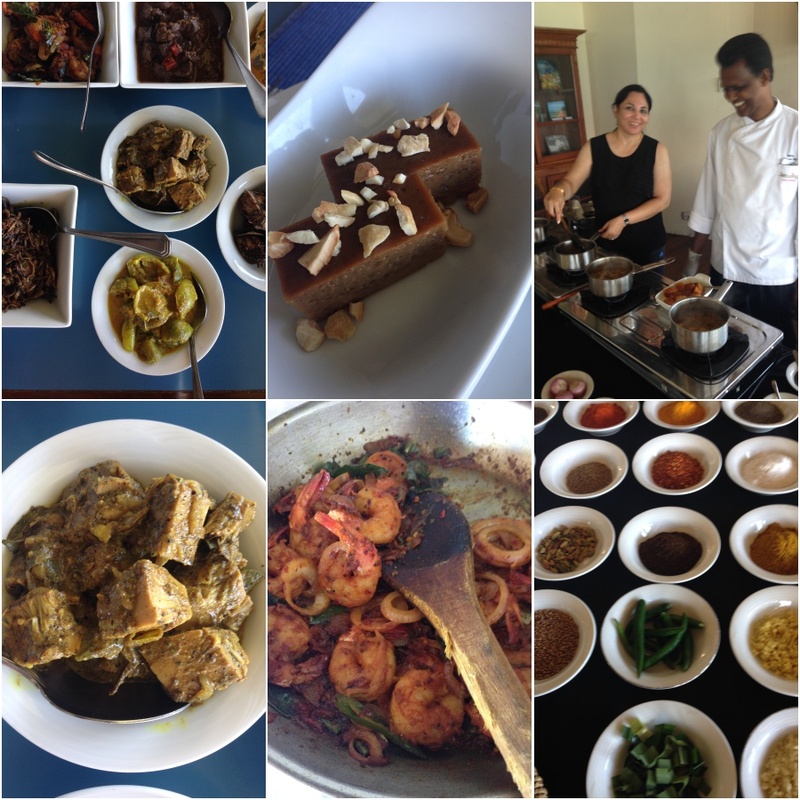 This truly was the highlight of my stay at the Jetwing Hotel in Galle.The hubs and me had been partaking in a gastronomic fare that the hotel served up everyday.The buffet had a varied assortment of International cuisine,all though the local Sri Lankan fare is what stuck a cord with my palette.Truly a melting pot of flavours.We sampled bowlful’s of Fish Ambul,Polos (jackfruit curry),Wambatu Moju (eggplant Curry) along with Sambol,Kottu,Appams and divine Watalappan. 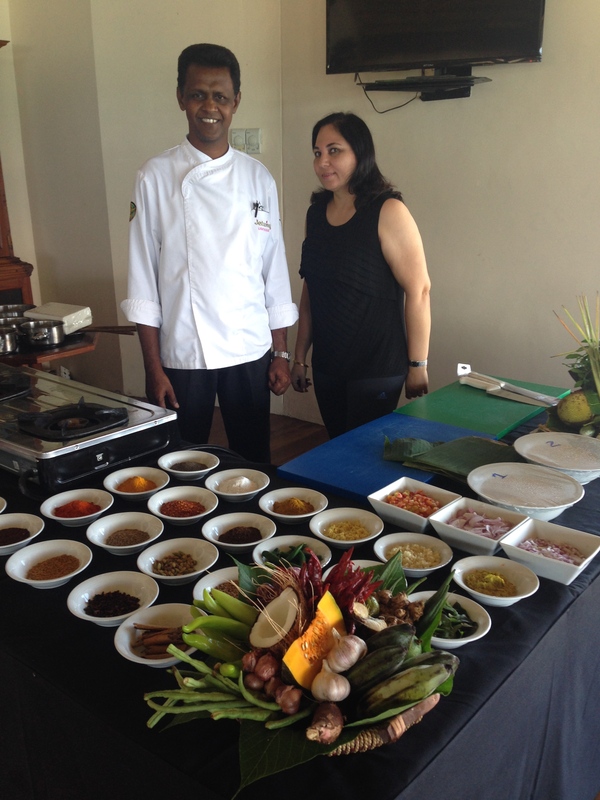 Ofcourse I had to meet the chef behind this Culinary magic and asked to meet with him.Chef Nihal Senanayake the executive chef for the Jetwing hotel is more than happy to come across to our table and chat and promises a half day Culinary workshop for the two of us. 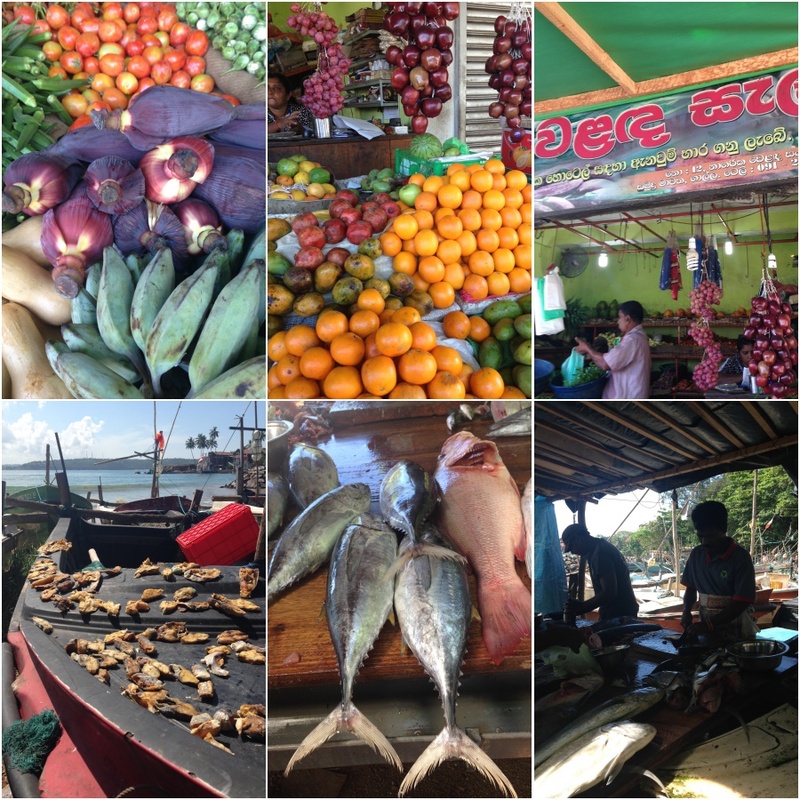 Our day begins with a quick ride to the nearest Fruit & vegetable market in Galle. With a quick stop at the local Fish mongers too as we needed some fresh Shrimp and Fish for some of the preparations in our workshop.It is is such a delight to revel in the sights of these fresh markets.A visual treat indeed. 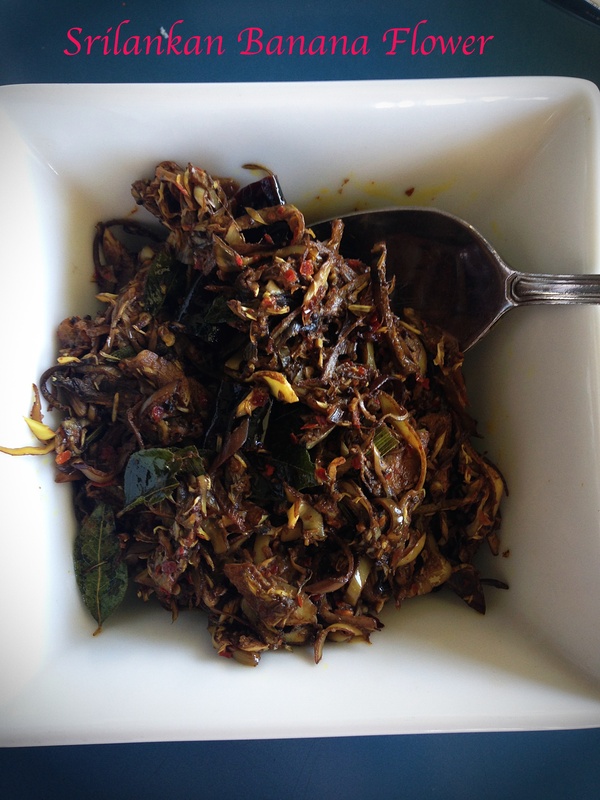 While I promise to put up recipes for most of them in a separate blog post,I thought I’d share the ones for the Banana Flower vegetable and the Wattalappan here. 1.Peel the outer and tough layers of the banana blossom till you come to the tender middle part.Pick out the florets from the middle core and remove the stamen. 2.Finely chop the banana Blossom and the florets and soak it in salt water. 3.Add a bit of turmeric powder and mix. 4.Heat the oil in a pan, and add the onions ,curry leaves and green chilies. 5.When partially fried, reduce the heat. Add the chilies powder, chili pieces, turmeric and fry for a few seconds. 6.Add the chopped banana blossom and stir. 8.Cook for 5-7 minutes and add the coconut milk. Pre heat the oven to 150 C.
In a saucepan add in the Jaggery,coconut milk,vanilla essence and the ground spices and heat gently for about 4-5 minutes till the ingredients are well combined. Keep this mixture aside to cool. In a separate bowl whisk the eggs together till creamy. Now add the coconut mixture to the egg mixture and whisk again. Now either divide this mixture into 4 Ramekins or you may place it in a rectangular glass pyrex dish. Now fill a roasting pan with boiling water to reach about halfway of the ramekins. Place the ramekins into the roasting pan. Bake for 30 -35 minutes or until the custard looks quite set. 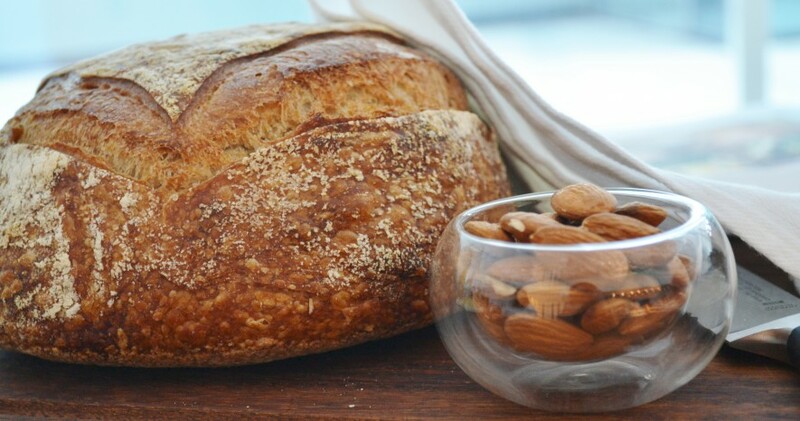 Cool this and refrigerate for 2-3 hours and serve chilled. 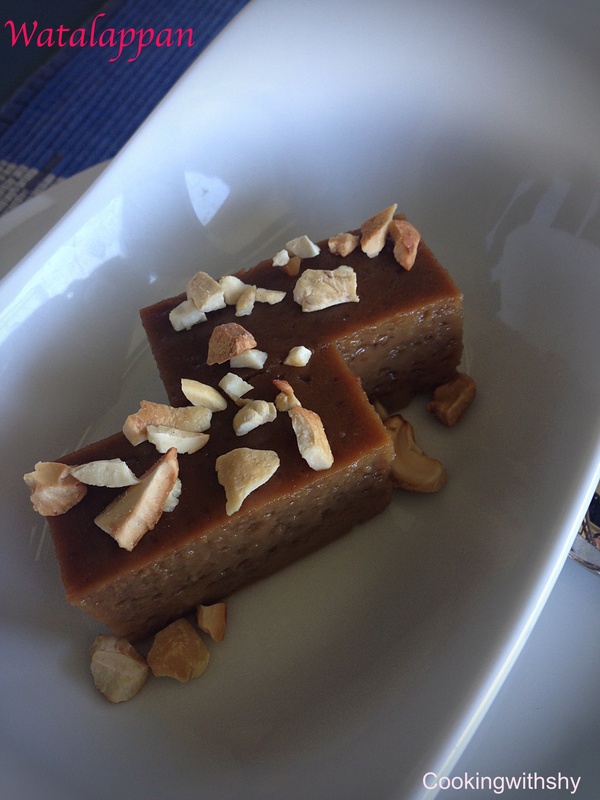 If you have used a rectangular mould then you may cut them into slices and serve. 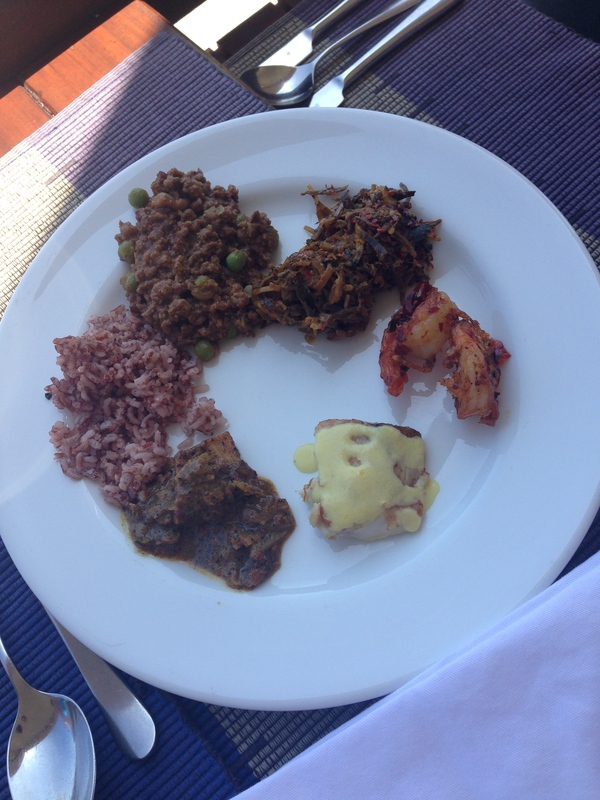 Great post, really been wanting to go to Sri Lanka, and such great food! Just did a vlog on Bangkok, Thailand with lots of food too – do check it out! 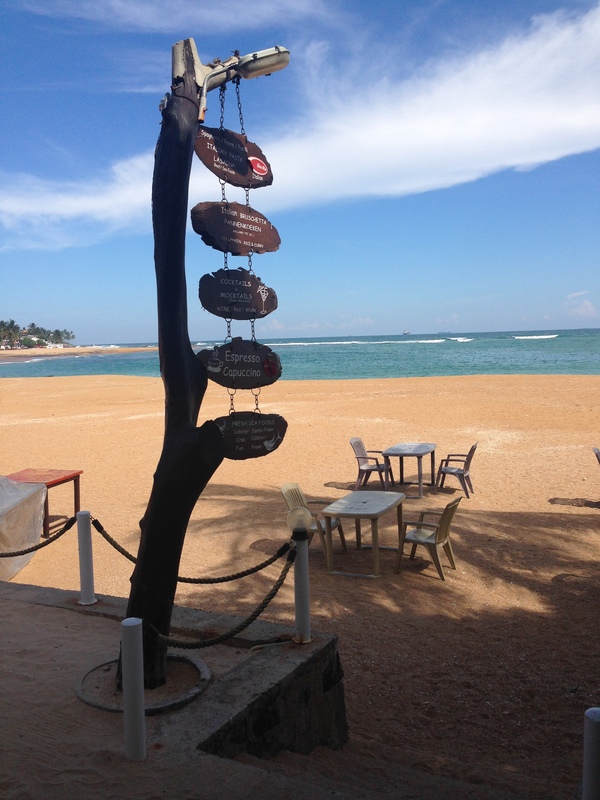 Love the post and the photos.I want to visit Sri Lanka. 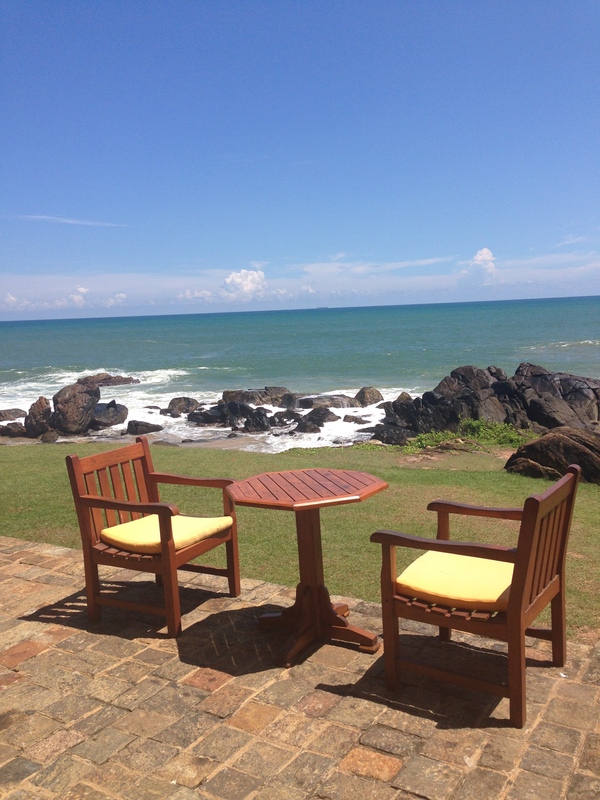 What a marvelous and memorable adventure you had in Galle. It is a beautiful area and seemed very tranquil from your photos. Great post , Thank you very much. you are really promoting us.